I've not made any progress with any of my own projects recently because I've been spinning this 130g of pure cat fluff. It was badly matted, with lots of variation of colour. I tried drum carding which would have saved a lot of time but lots of work with hand carders was the only way to separate the fibres nicely. This meant that each lot on the carders became well-blended colourwise, but I tried to stick to one colour on each charge of the carders so that there's a good colour variation within the singles. 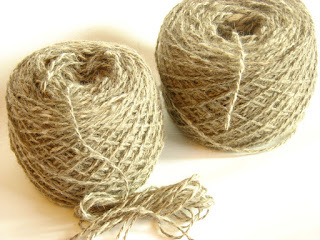 Some of the fibres are very short so I tried a tightly-rolled poonie as with cotton, but in the end I found that it went best from a very loose mass lifted off the carder. There's more of a colour variation than you can see from the photo, in places it's almost white and in some places dark brown. I'm looking forward to seeing how it looks knitted up. The owner isn't sure yet what she'll make. Rather you than me. I spun some cat fur which I plied with dog. Slightly ironic, I think. Decided I didn't enjoy it and wouldn't do it again. You've made a good job of yours, as it's far from easy. Thanks for that SS. 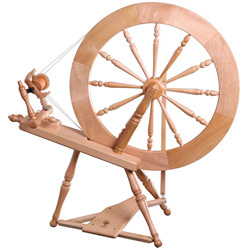 I didn't find it easy to spin, though it was better in some parts than others. It came from two different cats and I guess the fur from some parts of the cat will be better than others. So sometimes it went quite easily and other times it was lumpy or uncooperative. I also found my eyes got stingy while working, I don't think I'm allergic, but just gets in the air and irritates the eyes. I usually pass these commissions on to a friend to is happy to take them on, but I quite fancied doing this one myself! I'm glad I did, but don't think I will again soon. Skiing goggles. Worked for me, but I did lock myself in the loft with it, before someone else locked me up for good. Glad to know someone esle who's done this :-). My current cats have short fur and carding it is a nightmare. If the next mogs are long-haired may have another go.